Pinehurst isn’t just a club, it’s a way of life. It’s as natural and easy as a gentle wind blowing through the long leaf pines. It’s where bunkers and water hazards turn strangers into friends. Where neighbors gather to celebrate each sunrise and toast every sunset. Where life actually seems to slow down – so you can enjoy every minute of it. Membership is available to property owners in Moore County and those within a 60-mile radius of Pinehurst. 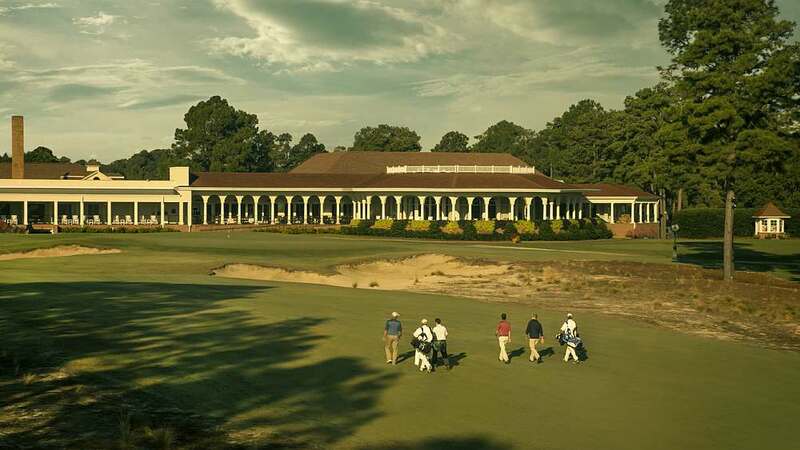 Pinehurst is not just for serious golfers, it’s for those who just want to play and socialize with friends. Pinehurst No. 2 has hosted more major championships than any other course in the country. So, our members walk the same fairways as legends like Ben Hogan, Jack Nicklaus, Arnold Palmer, Payne Stewart and Tiger Woods. Pinehurst's first clubhouse was built in 1898. Ben Hogan had his first professional win at Pinehurst, the 1940 North & South Open. Donald Ross not only created Pinehurst No. 2, he was the resort's first golf professional. Women have been playing competitive golf at Pinehurst since 1903. Payne Stewart won the first U.S. Open held at Pinehurst in 1999. Michael Campbell won the 2005 U.S. Open at Pinehurst. For the first time, the U.S. Open and U.S. Women's Open were held in back-to-back weeks at Pinehurst in 2014. Michelle Wie was the U.S. Women's Open champion. The historic member club was renovated in 2013. The team at Pinehurst Resort Realty can help you find the home of your dreams whether you want the serenity of lakeside views, the excitement of living on a golf course or somewhere else in the delightful Village of Pinehurst. Call 1-800-772-7588 or visit pinehurstresortrealty.com to begin your search for a new home.